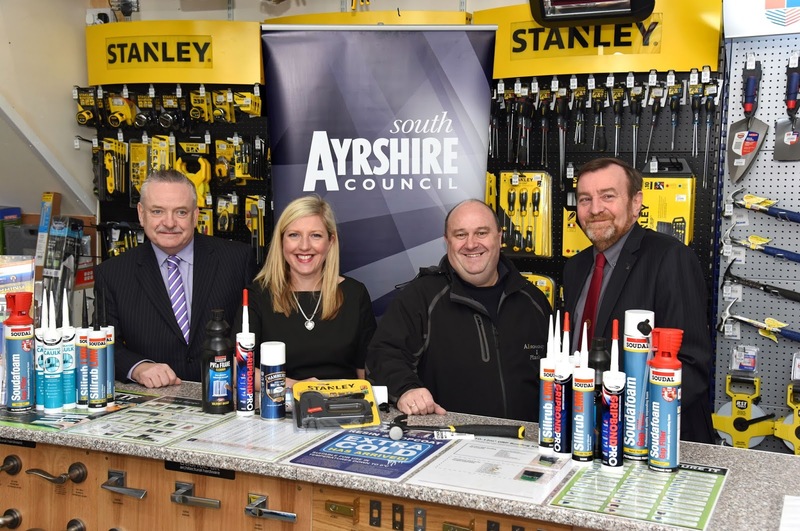 Ayr-based A1 Ironmongery (pictured above) has been appointed a place on a National Framework to deliver general ironmongery, ground care tools, fixings, adhesives, sealants and silicon’s to local Councils. The news comes at a time when a concerted effort is being made to make it easier for smaller companies to secure public sector contracts. As part of South Ayrshire Council’s commitment to growing the local economy and working with businesses, staff outlined the process to A1 and highlighted additional help available from the independent Supplier Development Programme (SDP), which provides training and support to SMEs to compete for Scottish public sector contracts. Councillor Peter Henderson, Portfolio Holder for Resources and Performance said: “We’re committed to supporting local businesses, and helping people understand that there are opportunities for smaller companies to secure public sector contracts is an important part of our work. “Too often in the past we’ve heard from owners who felt they couldn’t compete with big business, but by taking a strategic approach and identifying realistic ways of working with the public sector, there’s no reason why the process shouldn’t be open to all. 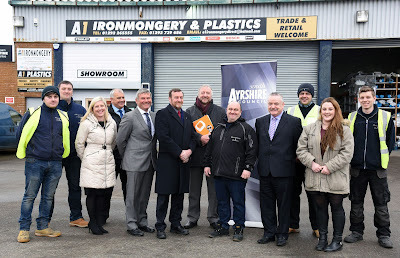 Director of A1 Ironmongery, Ivie Kerr said: “Securing a place on the framework presents us with a significant opportunity to extend what we do and realise fresh growth from our base in Ayr. 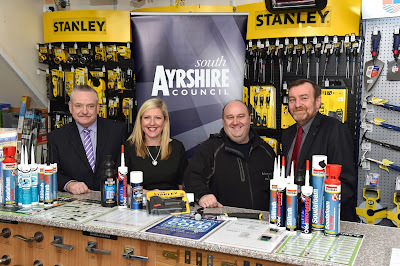 “We’re proud to have been given the opportunity to work with our own local authority, South Ayrshire Council, as well as with neighbouring East and North Ayrshire, and we’re hoping the new contract will help our business go from strength to strength.